I know it may seem difficult to put together any sort of decade list of documentaries that doesn't include Michael Moore. But really, just watch me. 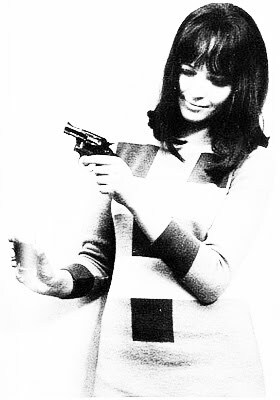 No, it's not that I'm some sort of rampant, threatened conservative, not at all. I just harbor a really deep resent for Moore and his blustery blowhard antics. To me, he is just as dreadful as Glenn Beck or Bill O'Reilly, just positioned on the left. Needless to say, if I were making a list of my favorite documentaries of the 90's, Roger and Me would rate, but in the 00's, while Bowling For Columbine is an entertaining mixed bag, I otherwise don't see him as presenting anything horribly interesting. For me, documentaries are most fascinating when they show us something we otherwise wouldn't have seen, or perhaps even heard about. Personal stories, glimpses behind closed doors and into other lives. Spare me the politics, show me all the little things. That said, I'm sorry Michael Moore, but your rehashing of what I can glean from reading between the lines on the cable news networks means that in my book you just don't rate. Moore aside, documentary filmmaking has covered a lot of diverse ground in the 00's. There were some major box office smashes: An Inconvenient Truth or March of the Penguins for example. There was also some really fine miniseries work captured on television in the forms of Discovery Channel's superb Planet Earth and the near impeccable first season of This American Life on Showtime. Some, however, really stuck out. Thus, I present to you the list of my 15 favorite documentaries of the 2000's. These are the true life stories that, for whatever reason, captured my attention the most. 1. Tarnation (2003) : I saw this at the Chicago International Film Festival some years back and it was followed by a question and answer meet and greet with Jonathan Caouette, the very man whose most intimate moments I had just watched on screen. It was surreal, to say the least, but then again, the whole project was extraordinary. Caouette recorded his life for 19 years. On super-8, answering machines, video confessionals and edited the footage down (in iMovie, if you can believe that) to one masterful 88 minute knockout. Triggered by present events, the film shoots back to cover a tragic familial epic of mental illness, abuse, and abandonment. It's riveting and truly one of the most powerful films I have ever seen. 2. Dig! 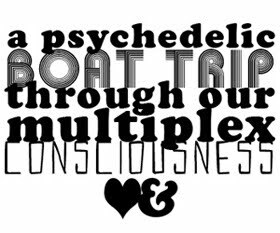 (2004) : The rivalry between The Dandy Warhols and The Brian Jonestown Massacre may be largely exaggerated, but the rest of it, that's real. Dig! is admittedly just about the only documentary I could watch with multiple repeats, it's also a really fantastic rock film about what it takes to find success (however moderate) in the business. Sharp, frequently funny, and with one hell of a soundtrack. 3. The Five Obstructions (2003) : Part documentary, part experimental film project, The Five Obstructions is a wonderful exploration of the artistic process with a little bit of a competitive edge. Lars Von Trier challenges director Jørgen Leth to remake his short film The Perfect Human five times, each with a different obstruction set up by the devilish, pompous Von Trier. 4. Man on Wire (2008) : 24-years after the fact we receive a detailed look at what led to Philippe Petit's tightrope walk between the twin towers. Petit is a maniac, but a charismatic one, and he steers the documentary towards a place that's as spellbinding as it is just a tad insane. 5. The King of Kong: A Fistful of Quarters (2007) : An epic tale of two men engaged in a savage battle to become the reigning king of Donkey Kong. It's an underdog tale specializing in obsession and geekdom as middle school teacher Steve Wiebe puts it all on the line in an attempt to take down crooked hot sauce-making hot shot Billy Mitchell. Hilarious. 6. Super Size Me (2004) : Morgan Spurlock chronicles himself on a month long diet of nothing but McDonalds with disastrous (yet expected) results. The film is unnerving, but the chance to watch a downward spiral and health repercussions stack up is one that you can't look away from. Strangely, once it was over, I just wanted a cheeseburger. 7. Every Little Step (2008) : It's so obvious, it's a wonder no one has bothered shooting it before. When A Chorus Line was slated for a Broadway revival someone wised up and decided to film the audition process and fill it in with background information on the origins of the show. Of course, if you're familiar with A Chorus Line, you know it's a show about an audition process. Thus, in making Every Little Step what they've done is essentially just shoot a real life version of a beloved show. Brilliant. 8. Waltz With Bashir (2008) : If nothing else, it's likely the most beautiful documentary in recent memory. In concept the film is straightforward. Israeli film director Ari Folman interviews fellow veterans of the 1982 Invasion of Lebanon to try to piece together what he has willingly forgotten. Yet, instead of giving us simple face to face conversations with former friends, he animates his tale and adds dream sequences that give us a separation from the events similar to what he himself is feeling. The opening scene alone is something wonderful. 9. Religulous (2008) : Comedian Bill Maher explores how damaging, and insane, religion is. Not just one religion. All of them. He travels around the world, asking the obvious questions on basic spiritual belief to people of all backgrounds. He hits high and low. People on the street, religious leaders, theologists, and the folks who work at the Jesus theme park. It's an absolutely hysterical (and yet truly though provoking) glimpse at the oddly backwards nature of the modern world. 10. Lost in La Mancha (2002) : Sadly, this is the only thing to come out of Terry Gilliam's attempt at filming an adaptation of Don Quixote. Yet, for film (and Gilliam) fanatics it makes for a fascinating glimpse at the trials and tribulations that go into the production of a movie. Gilliam is a special case; an auteur perfectionist who's notorious for letting his vision get ahead of reality. Watching one of his many failed attempts quickly unravel is as interesting as it is sort of tragic. 11. Heavy Metal in Baghdad (2007) : This rockumentary follows a pair of filmmakers as they track Iraqi metal band Acrassicauda. Interviews with the band reveal a hidden undercurrent of American influence and the dangerous implications of being a rock and roller in a country in the midst of violent political unrest. The film feels urgent, dangerous even, as the filmmakers are routinely sidelined by bombings and the inability to leave safe housing, and the band tries to keep their taboo passions under wraps. I considered putting Anvil: The Story of Anvil on my list, but Acrassicauda's attempts at success just topped it. 12. 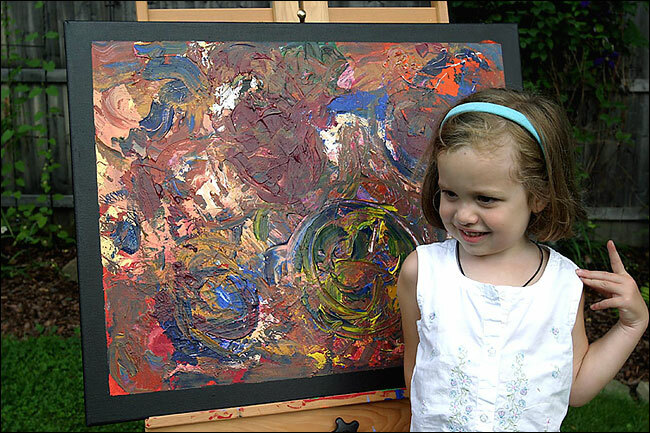 My Kid Could Paint That (2007) : A tale of controversy and the fickleness of the art world, this film covers supposed 4-year old child prodigy Marla Olmstead and her rapid rise and fall. It leaves us with questions of authenticity and approaches the 'what is art?' debate from a different angle. Whether you believe she painted the pictures or not (and no, I don't think she can claim sole responsibility) the documentary makes for a conversation starting human interest story. 13. Capturing the Friedmans (2003) : Capturing the Friedmans makes Tarnation's family drama look like a cakewalk. The story of an upper middle class family whose world is blown apart when the family patriarch and the youngest son are both arrested on pedophilia charges, there isn't a single comfortable things about this film. Incredibly disturbing, seriously emotional, totally shocking and just plain gross, I can't say I really like this film...but I doubt I'll ever forget how filthy I felt after watching it. That said, any documentary list that doesn't include it isn't accomplishing its civic duty. Eegads. 14. Dear Zachary: A Letter to a Son About His Father (2008) : Like Capturing the Friedmans, Dear Zachary is like watching a slow moving trainwreck that you can't do a damn thing about. This time, though, it's just tragic. A murdered man's best friend sets out to record the memories and impact he left as a future gift to the man's newborn son. The further he goes, the more complicated, and unexpected, the story becomes. It doesn't look like much, but good gravy, it's unbelievable. Andrew Bagby's parents deserve some sort of Congressional medal of honor, I swear. 15. Rize (2005) : I had been reserving this place for Werner Herzog's Grizzly Man. But then I got to thinking and decided that while Grizzly Man is a bizarre journey, Herzog's narration is fantastic, and Timothy Treadwell is a deranged human being, I can't say it's a favorite. Great it may be, but once you see the demise of Treadwell, that's it. Thus, i've opted for David LaChapelle's gorgeously shot film on LA's street dance subcultures.